Cooperating with STATSCORE, we offer play-by-play visualization for more than 12,000 events per month. Sports betting should be exciting. Our play-by-play visualization solutions give your customers a thrilling experience. You and your customers can know everything there is to know about each event, with informative descriptions and actionable statistics such as dangerous attacks, shots on target, ball possession and more. Present exciting real-time incidents with our cutting-edge technology. Encourage your customers to place more bets with realistic sports visualizations. Get the latest info with our livescore widget via XML/JSON data feeds. Receive extremely fast and accurate updates through a simple, friendly and visualized sports betting solution. 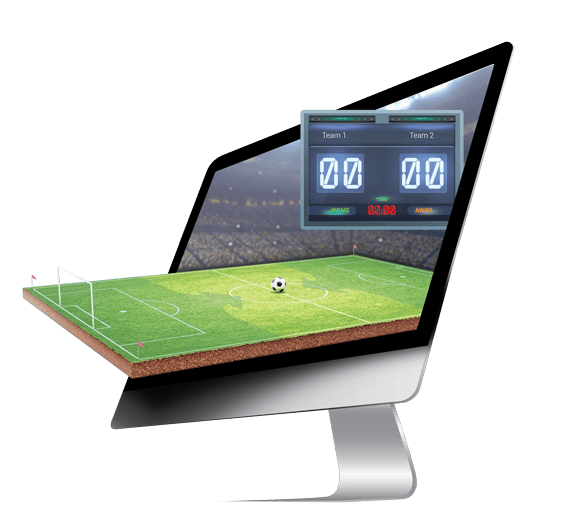 Increase retention during live events with this real-time animated sports data tool. Do I need to host this on my own server? Nope! Everything is hosted on our servers. We provide you with head-2-head comparison, lineups and special statistics. You can filter by specific period, including the attack visualisation and positional data of all important match events like goals, corners, goal kicks, free-kicks, shots, cards, injuries, throw-ins and more. Soccer, basketball, tennis, ice hockey, handball, baseball, volleyball, beach volleyball, badminton, table tennis, snooker, darts, bowling, ski jumping and American football.